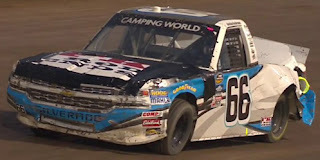 Jordan Anderson picked up the 1st last-place finish of his NASCAR Camping World Truck Series career in Wednesday’s Aspen Dental Eldora Dirt Derby 150 at the Eldora Speedway when his #66 FK Rod Ends / Columbia, SC Chevrolet fell out with a blown engine after 5 of 150 laps. 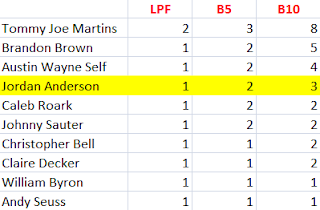 The finish came in Anderson’s 28th series start. Anderson and the team he drives for, Bolen Motorsports, are cut from the same cloth: scrappy underdogs determined to make names for themselves in NASCAR. The 25-year-old Anderson has been racing since he was eight, working from go-karts to late models, the K&N Pro Series East and the CARS X-1R Pro Cup Series. He made his Truck Series debut driving for MAKE Motorsports at Phoenix in 2014, where he finished 24th. He began working with longtime independent Mike Harmon in 2015, where he got Harmon’s #74 into 17 Truck races and the XFINITY night race at Bristol. He continued to put up impressive finishes with little sponsorship or resources, earning a season-best 13th at Michigan. This year, Anderson is making his first full-season run for Bolen Motorsports. Team owner Jeff Bolen has been looking for a way to get into NASCAR for most of his life ever since he watched Bill Elliott win the 1985 Winston Million when he was six. After a brief career running late models and Legends cars, Bolen looked into team ownership - first in late models, then in the Truck Series. He decided on the latter, and met Anderson. The two found they had a great deal in common - both raced in Legends cars, were college-educated, and had experience in public relations. It was a natural fit for Bolen to put Anderson in his #66. Anderson and Bolen’s first season together has been a learning experience for both. In addition to his driving duties, Anderson has helped with the team’s PR and fabricating. The tourism board of Columbia, South Carolina has continued to offer limited sponsorship, continuing a relation with Anderson, a South Carolina native, that began at Harmon’s team. Other partners included JAB Construction, DoodyCalls, and Rusty’s Off-Road Products. The team’s Eldora truck featured a hood logo for FK Rod Ends, which Anderson has used on his race cars since 2009. 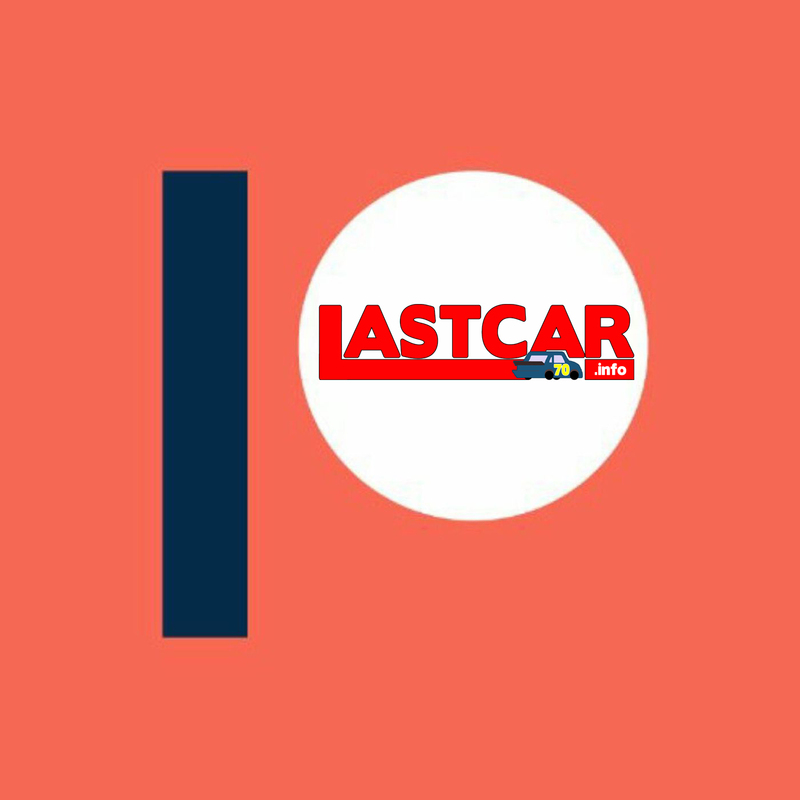 The nose also featured a small decal honoring the life of NASCAR on Reddit moderator Amy Branch (/u/Beezwacks), who passed away unexpectedly last week. Coming into Eldora, Anderson sat 22nd in points, coming off three-straight Top 20 finishes including a career-best 11th at Gateway in June. It would be Anderson’s first run in the 150-lapper at Eldora - Harmon put dirt tracker Stew Hayward in the #74 last July, who finished last after the engine let go on his RAM. In Tuesday’s opening practice session, Anderson ran 33rd-fastest of the 38 entrants, but made hard contact with the wall, tearing up the left-rear of his truck. Without a backup, Anderson and the crew went to work immediately, the driver hammering out dents on the sheetmetal as the Bolen team pieced it back together. The crew finished in time to get the #66 back out in Happy Hour, where they ran 34th of 36. This would not be the only time Eldora tested driver and crew. Race day came Wednesday and with it a full slate of events. First came qualifying, where Anderson continued to show improvement, putting up the 26th-best time at a speed of 80.852mph. The run would put him 6th on the grid for the 8-truck Heat Race #1 that afternoon. In the race, Anderson was the first to find trouble, slipping in Turn 4 and backing into the outside wall. With no caution thrown, Anderson fought at the back of the pack, battling with the #49 XBOMB Energy / OH! Lottery Chevrolet of Wayne Edwards. 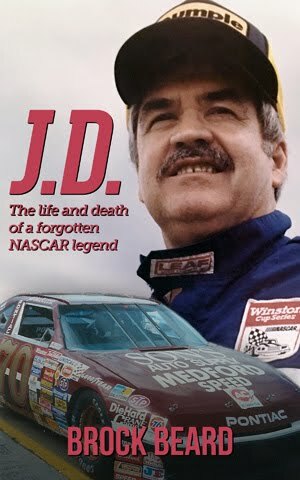 The two traded bumps and bangs all the way through the final lap, when Anderson slipped, lost control, and nosed into the outside wall across the stripe. Now, the team had just minutes to get their truck ready for the 15-lap Last Chance Qualifier. During the remaining four Heat Races and the following late model event, Anderson and the Bolen team put their truck together once more. The hood, buckled upward, was straightened and held down with large black strips of tape. 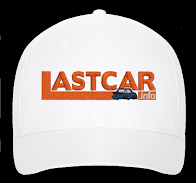 But little could be done to the nose, pulled over the right-front tire, or the rear clip, crushed against the back tires. Fortunately, the rear spoiler remained vertical, the truck was still rolling, and sure enough, Anderson lined up 6th for the Last Chance Qualifier. He could run just four laps, but still outpaced Travis Kvapil, his #50 CorvetteParts.net Chevrolet battered in his own Heat Race tangle with Rico Abreu, and Caleb Roark, who didn’t start the night’s races in Jennifer Jo Cobb’s #10. 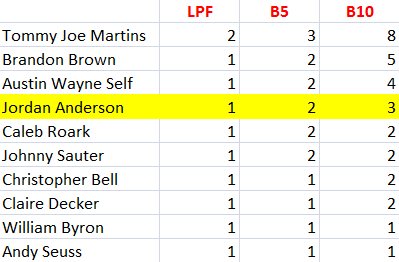 And thanks to a provisional for the team’s full-season run, Anderson would be in the main, starting 31st. Six drivers missed the race, including Donnie Levister, who withdrew his #62 Property Pro’s Toyota before qualifying, and Roark, who never turned a lap in either race. Chris Fontaine, making a rare non-plate start in his #78 Glenden Enterprises Toyota, put together an impressive run in Heat Race #4, battling to the finish with Tyler Young for the final transfer spot before he was edged at the stripe. Korbin Forrister in the Petty-painted #43 and teammate Sean Corr in the #82 also took turns at the front with Corr battling for the lead before a spin in Heat Race #5. Also sent home was Norm Benning, unable to repeat his 2013 LCQ heroics after Cody Coughlin shoved his #6 into the wall. When night fell and the engines fired, Anderson once again rolled out on track in his battered truck. But when the green flag fell, he didn’t drop to the last spot. Jennifer Jo Cobb had raced her #1 Westside Vapor / #IVapeIVote Chevrolet into the 30th spot. On Lap 5 of Heat Race #5, she’d smacked the outside wall in Turn 1 and pulled into the garage, come back out to finish 8th in the Last Chance Qualifier, and also relied on Owner Points to make the race. But something was still wrong with Cobb’s truck, and she missed the start of the race. She was five laps down when Anderson pulled into the garage on Lap 6, his truck no longer able to continue. Cobb finally made it back out on Lap 21 during the first yellow, dropping Anderson to last on Lap 27. Cobb finished 26th. 31st on Wednesday went to dirt tracker Justin Shipley of Georgia, whose turn in Tracy Wallace’s #80 Georgia Arms / Rogers Mechanical Ford ended when the truck overheated, spraying water as he pulled into the pits. 30th went to Caleb Holman, who earned his first pole position in qualifying driving Charlie Henderson’s #75 Food County USA / Lopez Wealth Management Chevrolet, but was involved in a multi-truck accident in Turns 3 and 4 on Lap 38. 29th-place Spencer Gallagher, 2nd in Heat Race #4 to J.R. Heffner, was also involved in the Holman accident, busting a radiator on his #23 Allegiant Airlines Chevrolet. He returned to the track without the front clip, finishing 43 laps down. Rounding out the group was Canadian late model ace Stewart Friesen, whose Truck Series debut ended when his #16 Halmar International Chevrolet trailed smoke after running as high as 5th. *This was the first last-place run for the #66 in Trucks since October 22, 2011, when J.J. Yeley’s Turn One Racing Chevrolet broke the transmission after 1 lap of the Coca-Cola 250 Powered by Fred’s at the Talladega Superspeedway. *It was also the first last-place run for the #66 in one of NASCAR’s top three divisions on a dirt track since July 21, 1964, when Frank Tanner’s 1963 Ford fell out with a loss of oil pressure after 2 laps of the Pennsylvania 200 at the Lincoln Speedway in New Oxford, Pennsylvania. 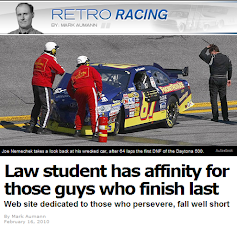 *This was Chevrolet’s 325th last-place finish in Truck Series competition.